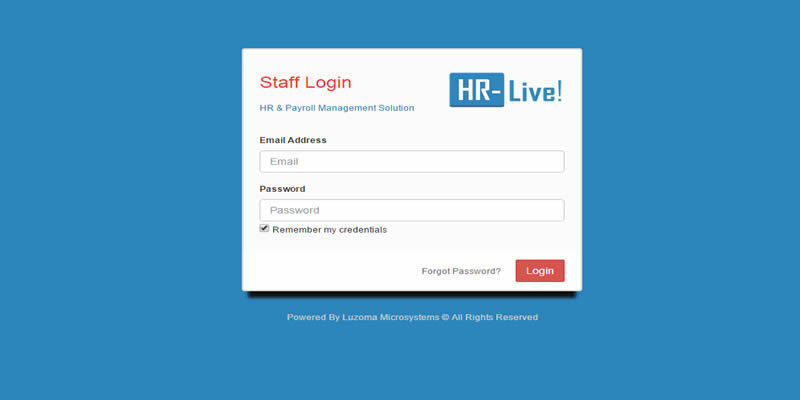 Whether you have 1 or 100,000 employees - HR-Live is dedicated to providing a robust, convenient and reliable HR & payroll solution at a price every business owner can afford. 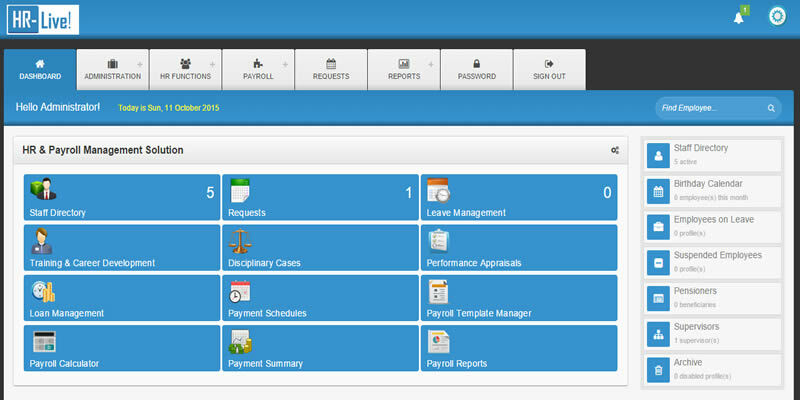 The dashboard and menu bar contains icons and links that can help authorized users perform HR/Payroll operations such as employee enrollment, profile management, trainings, Performance appraisals, salary computation, payment summary, generate reports, etc. 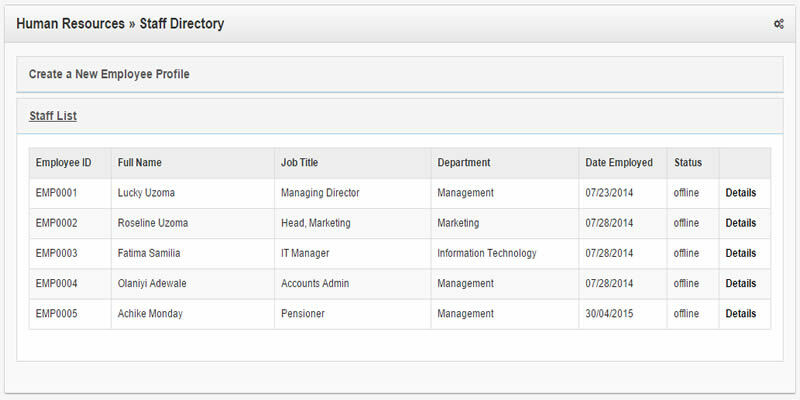 This panel contains a list of all active staff, you can also view/manage list of employees on suspension, leave, retired, etc. 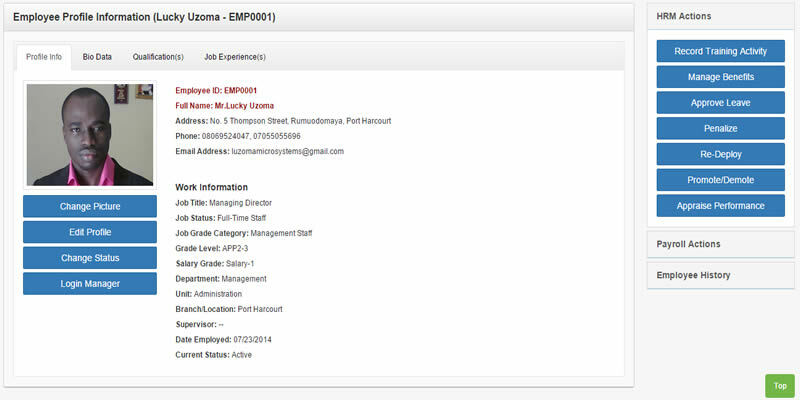 This bar (found under the staff directory), when expanded, provides access to new employee enrollment. 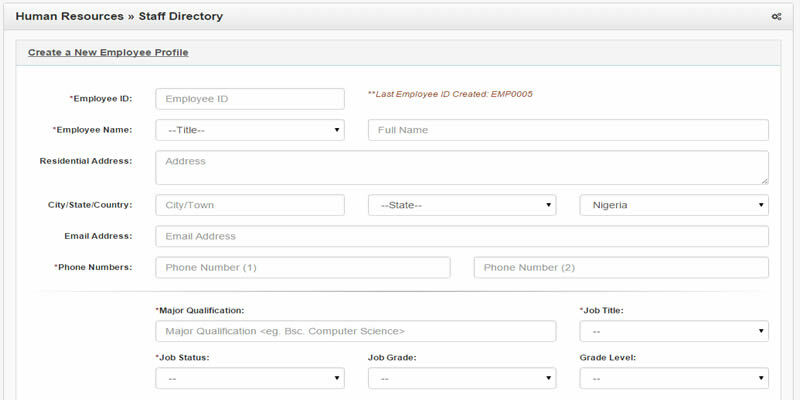 Gives you access to selected employee profile details. 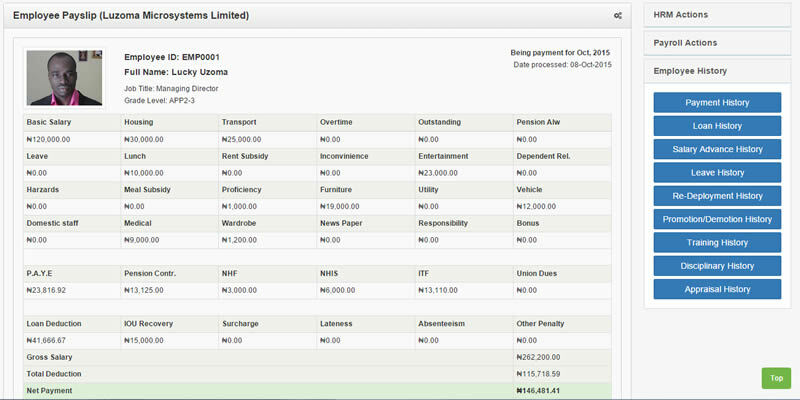 Here, you can update details, issue loan, salary advance, approve leave, generate payslips, view history and many more. 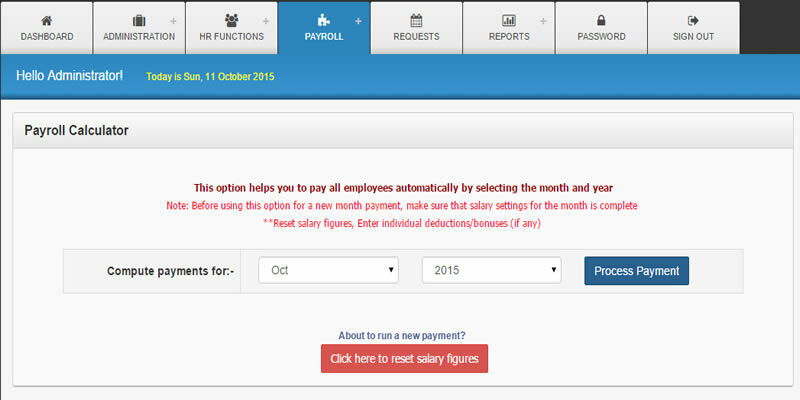 This option helps you to pay all employees automatically by selecting the month and year. 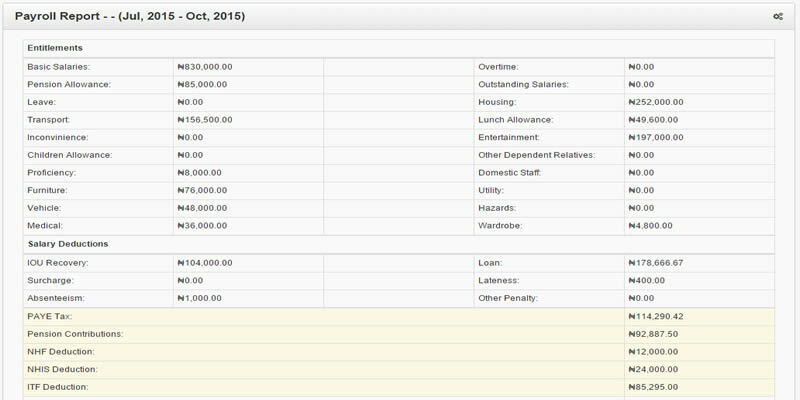 HR-Live also provides option to schedule payment upfront using the "payment schedules" panel. 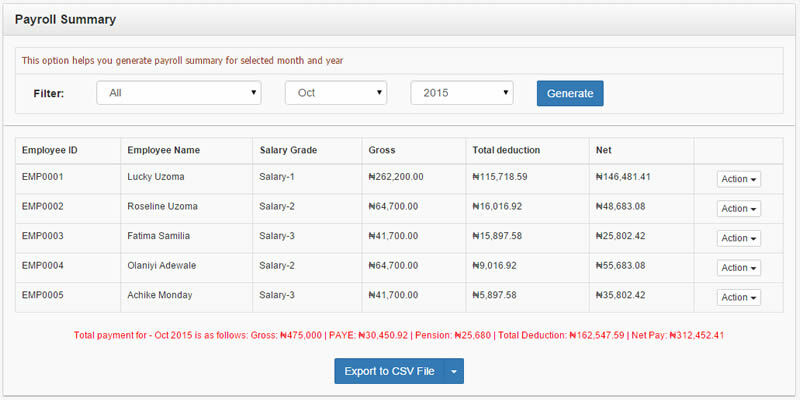 Gross Salaries, PAYE, Pension contributions, NHF, NHIS, ITF, etc. 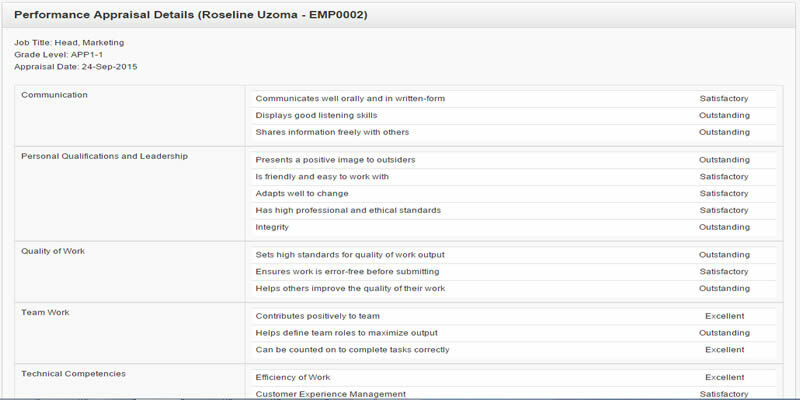 based on pre-set Key Performance Indicators (KPI) using the 360° method. 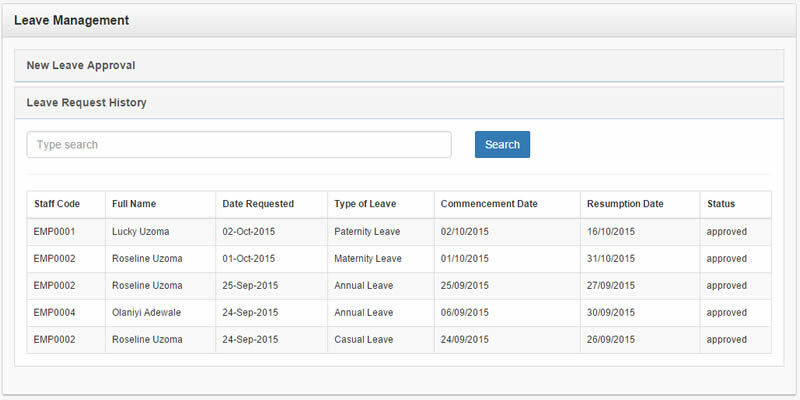 Helps you view/manage employees on Leave as well as process new leave requests. 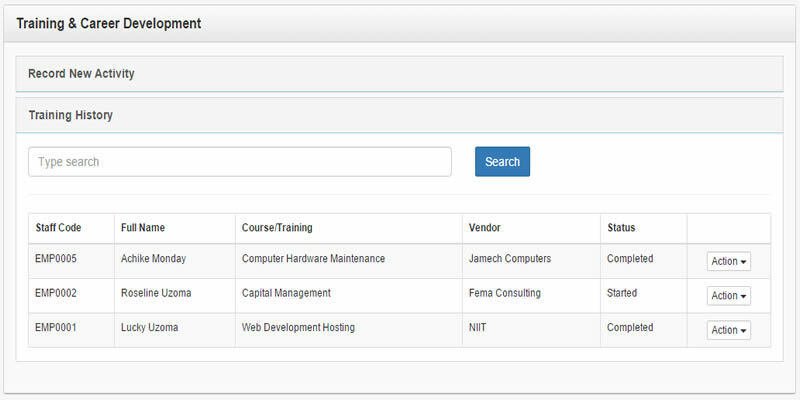 Enables HR-Live users to keep track of employee trainings and career development programs as well as to evaluate trainee performances.